Tax financial transactions: Solve debt crisis and stop reckless trading. Tax the Traders! It Would Solve Economic Crisis and Stop Reckless Trading. 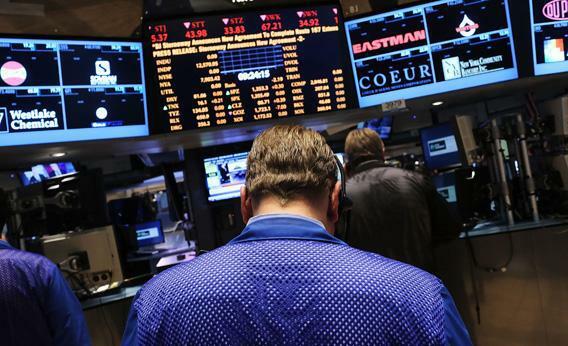 Traders work on the floor of the New York Stock Exchange on Nov. 15. Both the White House and House Republicans, publicly at least, are digging in their heels deeper and deeper in the so-called negotiations over what we call, alternately, the fiscal cliff, the fiscal slope, the austerity bomb, or the cable-talk-show topic of last resort. Whatever logic either side pretends to have is irrelevant to the other side, because each is speaking a different political language and indeed a different economic language. I agree with the White House on the substance of the debate, and I think the administration’s hand gets stronger over time. But as anyone who has been through negotiations will tell you, sometimes you just need a new idea to change the dynamic. This one is not so new; it has been around for a long time, supported by a wide range of economists, including Nobel laureate James Tobin, as well as advocates, including Ralph Nader in the Washington Post this weekend, and elected officials: a tax on financial transactions. It will give us gobs of revenue. It will fall on a sector that has generated enormous and unwarranted profits for a very few, who at the same time have benefited from huge bailouts and regulatory help and largely escaped any responsibility for their central role in creating the financial cataclysm that we are still struggling with. Here is the idea: A tax of less than half a percent on every $100 of stock sales or sales of other financial instruments including bonds, derivatives, and options. The tax could raise anywhere from $170 billion to $350 billion per year depending how it was applied. Extend that over 10 years, and we are raising almost what the White House and Republicans agree needs to be raised in order to accomplish the objectives of a grand bargain. But there is an added benefit here: Trading in the equity and debt markets has gone wild over the past few years. High-speed trading and speculation have overtaken the economically legitimate reasons for our desire to have highly liquid markets: the capacity to raise capital and then allocate it efficiently among sectors and companies. The trading that has emerged over the past few years is not serving that purpose—it is a casino enterprise driven by hidden pools and computer algorithms that do not seek to hold capital for longer than an instant. To the extent that a financial-transfer tax drove some of those trading practices out of the marketplace, that would be another good outcome. We are all used to paying a sales tax when we buy things—almost 9 percent here in New York City. The application of this concept to the financial sector could solve our need for revenue, bring some sanity back into the financial sector, and give us a way to raise the revenue we need to run the government in a fiscally responsible way. Maybe this is the old idea that we need folks in D.C. to pay attention to again.